Pigeons can seem pretty innocuous in the city, but according to TransLink, the birds can cause all kinds of problems along the SkyTrain system. Now, along with the BC SPCA, TransLink is testing a birth control drug on the birds to reduce the population. To start, there’s the issue of poop. CBC News first reported in December that pigeon droppings had dogged the transit authority as it prepared to open a new platform at the Commercial-Broadway station. The problems don’t just revolve around the nasty mess. According to TransLink, pigeons can interfere with the transportation system, causing SkyTrain delays when they trigger track intrusion alarms, and automatic brakes are activated. TransLink has tried to discourage the birds from roosting in its stations. The spikes installed along perches didn’t do it. Nor did low-voltage strips or netting. According to TransLink, a falconer has been hired to make the rounds at pigeon-plagued stations to scare off the birds. But according to spokesperson Jill Drews, what’s needed is a long term solution. Along with the BC SPCA, TransLink is testing a feeding system that distributes corn laced with a contraceptive called OvoControl. The drug has to be eaten daily to keep the pigeons from laying fertilized eggs, and its effects are reversible. 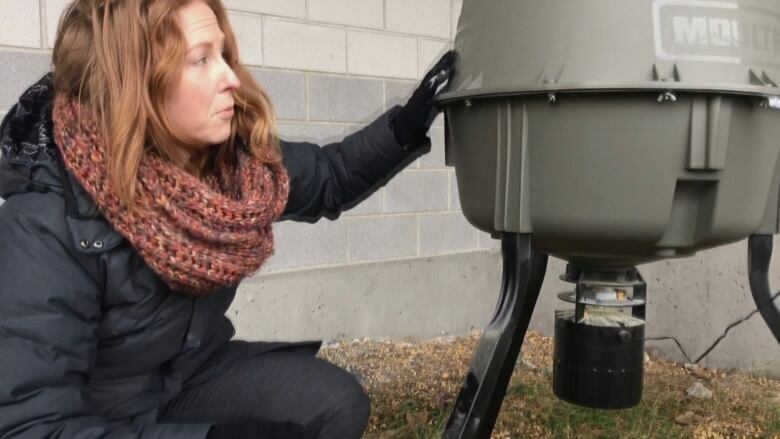 “We’re going to be working with the SPCA here at VCC-Clark for a few weeks and determine the effectiveness and hopefully roll out the feeders at other stations soon,” said Drews. 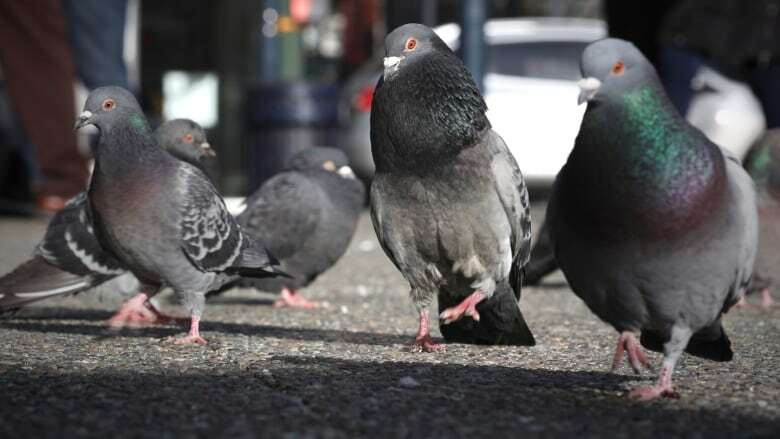 According to Sara Dubois, chief scientific officer with BC SPCA, the drug breaks down in the pigeons’ blood stream and won’t affect any predators that may eat the birds, nor any mammals in the area. “It’s safe; it’s not toxic. It was approved by Health Canada last year. We’ve been waiting for several years for it to come to Canada,” said Dubois. “The goal’s not to get rid of pigeons, the goal is to manage the pigeon situation to the point where it’s not causing problems for TransLink,” she said. Dubois said the results of the pilot program will be carefully tracked, both in terms of whether the birds are consuming the drugged food, but also the number of track intrusion alarms set off by pigeons. Drews said that people are partly to blame for the number of pigeons around SkyTrain stations.